Harmonia's founder, Walt Mahovlich, grew up listening to the Croatian andHungarian music of his family. He got his start playing Croatian and Macedonian weddings at the age of19, and spent much of his youth playing with traditional village musicians. He's played extensively at traditional events for East European immigrant communities throughout the United States and Canada as well as in frequent concert tours of Europe. His career has included performances at Smotra Foklora in Zagreb, Croatia, the Smithsonian's Festival of American Folklife, Jimmy Carter's Inaugural, the Rededication of Ellis Island, the Bicentennial Celebration of the Constitution in Philadelphia as well as performances in Carnegie Hall and Lincoln Center. Walt made his off-Broadway debut in Tony Kushner's adaptation of the S. Ansky classic, A Dybbuk, performing at New York's Public Theater and appeared in the film, The Suicide. Walt's been a faculty member at the Balkan Arts Music Camp as well as director of the Cleveland Tamburitzans. His album, Nova Domovina: Balkan Slavic Music from the Industrial Midwest won the Unesco award for ethnomusicology. In addition to appearing on CDs with Harmonia Walt's clarinet playing is also featured on Budowitz: Mother Tongue on the Koch International label. 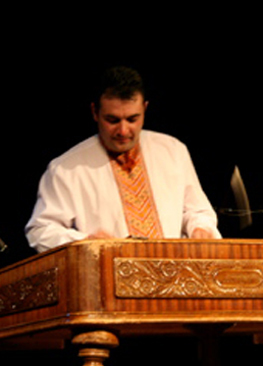 Alexander Fedoriouk began playing the cimbalom at the age of 7 in his home-town of Kolomyia, Ukraine. Growing up in the Carpathian mountains, he played at weddings in mountain villages in Ukraine and Moldavia. He studied music at the Kolomyia Music School, Chernivsty Musical College and received his Bachelor's degree in music from The Kiev State Conservatory. He has performed as a soloist with The New York Philharmonic, The Cleveland Orchestra, Pittsburgh Symphony, Columbus Symphony, Nashville Chamber Orchestra, Johnstown Symphony, Youngstown Youth Orchestra, New York Chamber Ensemble, The Odessa Philharmonic Orchestra, Troisty Muzyky Folk Ensemble, The Manhattan School of Music Symphony Orchestra, The Duquesne University Tamburitzans and Cheres. He appeared in the Ukrainian musical movies, Pisne Kalynova and Namysto Dlia Berehyni. He received awards at the national competition on folk instruments in 1987 and 1991 in Ukraine, and in Nebraska in 1997. Since he has been in the United States he has been featured as a soloist on a number of recordings: The Art of the Cimbalom (Traditional Crossroads), Harmonia (Traditional Crossroads), Cheres - From the Mountains to the Steppes (B Sharp Records), Unblocked (Ellipsis Records), The World in Our Backyard (Chubby Dragon) and Klezsqueese (Bon Air). He has recorded with Nigel Pulsford of Bush, legendary jazz flautist Herbie Mann and performed in Carnegie hall with John Cale of the Velvet Undeground. Born in Medzilaborce, in Eastern Slovakia, Beata Begeniova grew up surrounded by Slovak and Rusyn folk songs sung by her family. She attended the music high school in Prešov and received her music degree from J. P. Safarik University in Slovakia. While still a student, she was featured as a soloist on many recordings and radio broadcasts and received numerous awards in folk song competitions. A featured soloist with the professional Rusyn ensemble Dukla in Prešov, she toured Europe and North America with Šarišan. Known for his passionate performances of East European Gypsy music and soulful renditions of East European Jewish music (klezmer) all combined with virtuoso flair and technical precision Steven is a multi-talented musician well-versed in a multitude of musical styles and genres. Steven is a accomplished performer of urban Gypsy violin styles, in particular, Hungarian nota, Romanian lautari music and Slovak folk music and has devoted his life to the study of East European violin style and ornamentation. An original member of Harmonia, Steven's intense study of East European folk music has brought him into contact with professional Gypsy and folk musicians from Hungary, Slovakia, Romania, and Ukraine and he continues to transcribe and arrange hundreds of tunes. In addition to performances with Harmonia Steven has been a regular guest soloist with the Cleveland Pops Orchestra performing his own arrangements of traditional East European Gyspy violin music in Cleveland's prestigious Severance Hall. Steven has also performed his East European Gypsy Violin Showpieces with the Canton and Akron symphonies. Steven will be featured on a forthcoming CD of urban Romanian Gypsy violin music together with Harmonia's cimbalist, Alexander Fedoriouk. In addition to his involvement with East European folk music Steven is one of the foremost performers, teachers and composers of klezmer music in the world today. His recording "Khevrisa-European Klezmer Music" is featured on the Smithsonian Folkways label and his double-CD of his original Jewish and klezmer compositions "Stempenyu's Dream" continues to receive international acclaim. His compositions are performed all over the world. 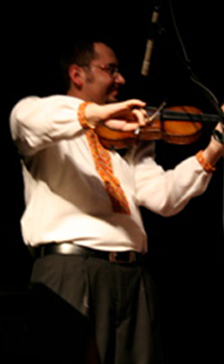 He has performed internationally with Khevrisa, Stempenyu's Dream, Di Tsvey, the Klezmatics, Budowitz, the Flying Bulgar Klezmer Band and Kapelye and has taught klezmer violin and string ensembles at KlezKanada, Living Traditions' KlezKamp, Yiddish Summer Weimar, Klezmer Festival Fuerth and KlezFest London. Jozef Janis learned to play traditional music in his native Slovakia. He is at home in a wide variety of traditional styles including Slovak, Hungarian Gypsy, Polish and Transylvanian. While in Slovakia in addition to leading his own Slovak folk band, he also spent six years playing with a traditional Hungarian Gypsy band. 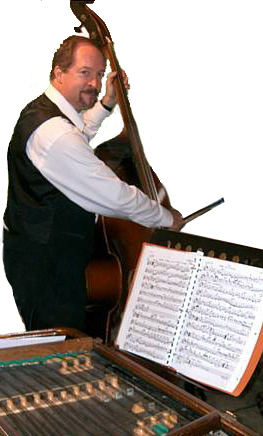 Jozef toured throughout Europe with the Slovak Army Ensemble, Janošik, and came to the U.S. in 2002 as a member of the Duquesne University Tamburitzans. In the United States he established his own Slovak folk band and now plays with Harmonia. A native of Ukraine, Andrei Pidkivka graduated from the Lviv Conservatory, with a degree in both folk and classical music. By the time he was 18 he was already principle flutist for the Ukrainian folk ensemble, Unist. He has since then performed with several professional ensembles including the Lviv Philharmonic State Symphony Orchestra, Virnist. In 1992 Mr. Pidkivka was featured as a soloist on ethnic flutes with Ukrainian National Military Orchestra at the Second International Music Festival of Military Bands in Krakow, Poland. His talents have brought him to France, Germany, the Czech Republic and the United States. Since coming to the United States, he has received a Masters Degree in Flute performance at Youngstown State University. At the present time, Andrei makes ethnic flutes and gives presentations on Eastern European Folk Music at Universities and Colleges. He plays extensively in concerts and music festivals including performances at the Kennedy Center for the Arts, Metropolitan Museum of Art and the National Folk Alliance Conference. Branislav "Brano" Brinarski began his musical studies at age six in his home town of Secovce in Zemplin County in Eastern Slovakia. While at the University in Košice, he began performing with the Jahodna folk ensemble playing bass, gajdice, dvojacka and singing. During his five years with Jahodna, he toured throughout Slovakia, Europe and Asia. After receiving his degree at Kosice he moved to the United States in 1998 where he immediately founded the Slovak Folk Band Pajtaši which he currently leads. Pajtaši has performed throughout the East Coast for numerous Slovak cultural events and also provides music for Slovak Folk Ensemble Limbora. Recently, Brano has branched out collaborating with other East European bands in the tri-state area. In addition to his folk music endeavors, he also performs with the Bensen-Scott and Jump Start big bands in the New York City area. Ken Javor a Clevelander of Slovak and Czech descent, Ken Javor has been playing string bass professionally with Slovak and Hungarian musicians since the 1960’s, playing initially in Cleveland in the famous Buckeye Road Hungarian neighborhood. 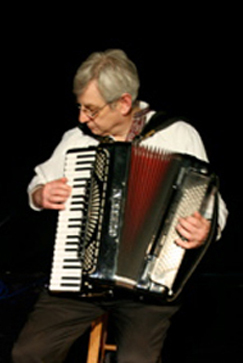 A mainstay of Slovak music in Cleveland with a wide repertoire of Slovak folk music reflecting his over 40 years of experience, Ken has performed at concerts and community events in Europe and across the United States.